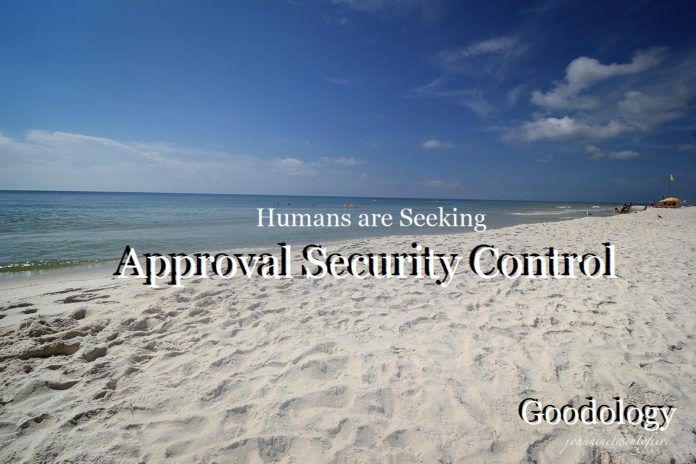 It is said that every movement and action a human being takes somehow feeds one of these three core human needs (wants): approval, security and control. Sit with that for a minute. Approval is the desire to belong or be loved or be validated. We may seek the attention of another person. We want to be loved, to be liked and to be wanted. Therefore, we may observe the actions of others. We make statements and ask questions. I don’t think he likes me. Did she notice me? What will it take to make her notice me and give me the attention I crave? I want to look good. This way, people will notice me. Approval can move you along with career aspirations – Mom might approve or a successful mentor may approve. Security is the desire for safety in our environment. This can be wanting protection and wanting to survive. You can also think of financial security. You can think of job security, relationship security or national security. We build armor and fortresses for our protection. But, what is it that we are protecting? Control is a way to gain security. It’s also a way to manipulate approval. Control is order in your life. Control is knowing your environment. Control is expectation in results. You may feel you have control over your dog. You yell at your little Chihuahua when he barks at company. You have control. Or, you yank your Rottweiler showing her who’s boss. You are in control. Do you notice a commonality with the explanations of approval, security and growth? There is always something outside that feeds the inner need. The need or want is inside of you. I heard these three core concepts of human needs explained in a personal growth course in year 2,000. The narrator suggested that these were THE three core drives in each human being. As I was listening, I evaluated. Of course, I began freaking out because – while interesting – I felt these are surface needs (wants). So, I spent the next few months thinking, studying and proving this theory wrong. It made sense to me that the real needs of human beings are similar, but much deeper. Love, Peace and Growth. Further, Love, Peace and Growth are not even needs at all. Each of these EXIST within. Love is within. Peace begins within. Growth starts within. Love, peace and growth are already there. Just may be covered up. Love is allowing and embracing yourself and the deepest core level. There is no need in love. There is no absence in love. Love is built in, just accept it. Peace is a feeling of stillness and calm within – it’s absence of need. There is no chaos in peace. There is no fear nor concern. Peace exists beneath the commotion and disturbance around you. You don’t seek peace. You are peace. Growth may be the most valuable of the trio. This happens when the other elements are in place. Growth is movement. It’s energy movement – following and expressing your true DNA path. It happens with the ALLOWING of love and the FERTILE STILLNESS of peace. We may think that energy is allowed to move (that is, we may think that growth is happening) when superficial wants are satisfied. Not true. Monkeying around with superficial wants, can slow growth. It’s interference above truth. We don’t need to satisfy superficial wants because we are covering the potential for growth. Growth happens when commotion, limitation and disturbance disappear. Growth is the only thing that can happen when the elements are in place. Synergy is beautiful. For example, a tomato plants grows with sufficient oxygen, sunlight and water. A person grows with a genuine feeling of inner love and peace. Growth is allowed. As with the tomato plant, synergy takes over. Approval and attention from others creates a genuine spark. Thinking about the difference between security and peace is like thinking about dodging bullets in war torn Syria versus the feeling of a student sitting safely in a library studying for her exam. Where is growth more likely to occur? Peace allows for growth. If you are in a reactionary environment where you are constantly engaged in outside battles, growth will be slow. If you live in an environment of peace, growth is allowed. 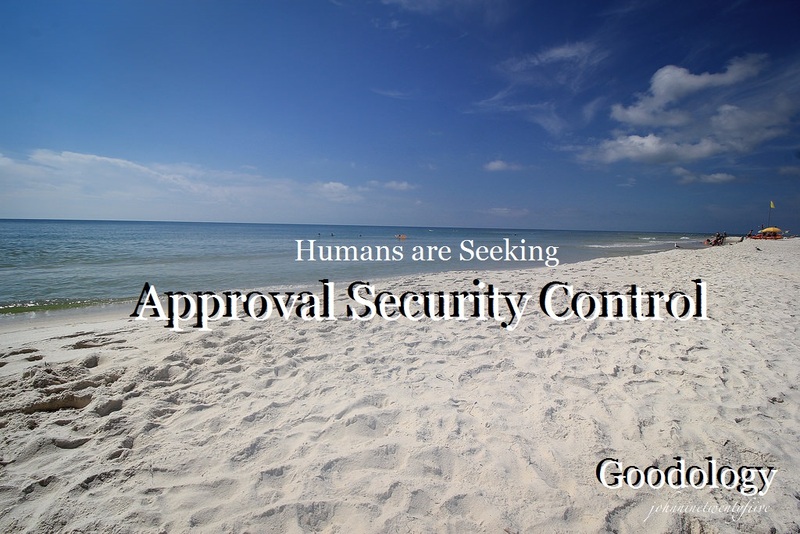 Approval, security and control are not bad things. Each time you seek approval it’s generally based an object of your affection – outside of yourself. In seeking that, there is a shift inside of yourself. You create a want. That is, you want for something. When you want for something, you express that you don’t have. When and if that need is met, you release. You feel the love desired. The key is that the Love was already there. The Peace was already there, albeit covered up. When you seek security, you may feel a disturbance or a fear. Your mind seeks a shield to protect yourself from that fear. Whether the disturbance is war, guns or a loud motorcycle driving by, you feel a disturbance. Even though there may be a noise outside, the response to the disturbance was ultimately created within you, by you. This is the mechanism, within which we will dig deeply (later). When you seek to control your environment, you may want to diminish angst within or an un-ease. The uneasiness is created by your own response to stimuli in your environment. You control the mechanism in that response, whether you know it or now. Each time you compress in response to stimuli, your growth is affected. You think you are controlling something, like growth, but you are inhibiting. The growth potential is already there. Sure, with security, great growth can happen. The issue is that in the time you spend creating your fortresses, you are not in peace. You are not growing. You stagnate and you also spend time creating fear within yourself. This is the way I began the article. It is said that three core human needs are, approval, security and control. Every movement and action we take somehow feeds one of these three. If you are feeding one of these three ‘wants’ then you are probably not growing. How do you find your way out? A course is being created. You may have heard it takes 21 days for form a habit. Is this true? Research from the University of London shows it really takes 66 days to form a habit. This makes sense. Changing a habit is not like snapping your fingers. In 99 Days of Goodology, we add 33 days onto it because the process is ENJOYABLE – and there is a great amount of material to cover. The series is broken up into 11 day increments with an exercise each day. You’ll love it. Leave your email in the box to the right. You can also leave a note below or on the Goodology Facebook page if you would like to learn more. Next articleGrocery Store Acts of Kindness and More!